Cheryl Brown, Esq. 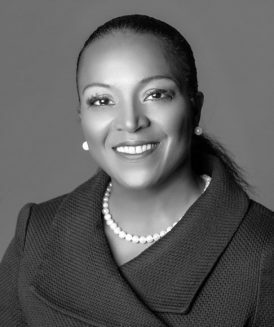 | Houston / Washington D.C.
Cheryl joined Wegman Partners in 2014. Cheryl is an experienced recruiter and former practicing attorney. At Wegman Partners, she recruits high-level attorneys for top tier local, national and international law firms. Cheryl utilizes her time-earned expertise in the legal market to provide the best strategic, and personalized career counseling. Her consummate professionalism, responsiveness and genuine concern for her clients and candidates enable her to place lawyers at all levels in law firms as well as in-house counsel positions, including General Counsels. Cheryl earned her J.D. from the John Marshall Law School and her B.S. in Mass Communications from Towson University. Before becoming a legal recruiter, she practiced labor and employment law and was Vice President of Operations with a national labor and employment consulting firm. Prior to joining Wegman Partners, Cheryl worked in the Houston office of a national recruiting firm. Cheryl is very active in the legal community. She regularly conducts trainings, workshops, seminars, as well as attends conferences and networking events. In addition to enjoying traveling and private aviation, Cheryl is a wine enthusiast and is fond for culinary arts.